According to the report, there was no material drop in mortgage approval activity or transaction volumes during the latter half of 2018, when compared with the five-year average. Furthermore, HMRC figures show that transaction volumes actually increased slightly during the first two months of 2019. Rightmove’s April 2019 House Price Index adds to the positive picture, reporting a 1.1% price uplift for properties coming to market during the month – the highest spring boost since April 2016 and the largest monthly rise since March 2018. Annual wage growth stands at 3.4% according to Rightmove’s latest House Price Index. That compares to an average annual rate of house price growth of 2.0%. Not only that, but the National Living Wage in the UK has just risen by 4.9%. As of 1 April 2019, the national minimum wage rose from £7.83 per hour to £8.21 for those aged 25+. Workers aged 21-24 also saw an increase, from £7.38 per hour to £7.70, while those aged 18-20 saw a rise from £5.90 to £6.15. According to specialist property investment agency Surrenden Invest, the impact of this can best be seen at a local level, where buyers are enjoying a distinct advantage thanks to their increased purchasing power. Combine that with Rightmove’s reporting that new sellers’ asking prices are cheaper than they were a year ago in three out of four southern regions, for example, and the picture is looking positive for both buyers and investors. Further north, many regional cities have been outstripping the price growth of their southern counterparts over the past three years, thanks to rising employment levels, as well as enhanced affordability. Two cities – Leicester and Manchester – have even achieved price growth of 17% since the Brexit vote, creating fantastic capital growth for those who timed their purchases right around the time of the referendum. Manchester remains high on the priority list of many an investor – and for good reason. The city is home to an impressive array of redevelopment projects. Two of the largest are the £800 million NOMA site and the £1 billion second phase of MediaCityUK in Salford, which will see the already vast site double in size. One development that is responding to the rising demand for homes in central Manchester is Middlewood Plaza. Available from £153,000, the sleek apartments deliver luxurious living in the Middlewood Locks regeneration zone. A private roof terrace, secure underground parking and smart home technology included as standard make this one of the most appealing developments in Manchester for buy to let investors with a keen eye for strategically located and well-designed properties. With both investors and owner occupiers keen to be part of Manchester’s future, and with enhanced buyer affordability coming into play, there are likely to be a busy few months and years ahead for the city’s property market. Indeed, Savills’ latest five-year forecast projects that the whole of the North West region has a rosy future ahead, enjoying projected compound price growth of 21.6% through to the end of 2023 (compared to a national average of 14.8%). According to Knight Frank, the Brexit-related uncertainty that the UK is currently experiencing is leading to a ‘wait and see’ effect in some parts of the country’s property market. However, given the UK’s chronic undersupply of rental apartments and the fact that rents are rising steadily (the average increase was 1.0% in the year to January 2019), many residential property investors want to act now rather than wait and see what happens with the ongoing political saga. As such, specialist property investment agency Surrenden Invest has shared its Brexit-beating property investment tips, for those who want to make their money work for them sooner rather than later. For investors, this provides an opportunity to identify key city centre hotspots. In Manchester, for example, the chic, contemporary Ancoats Gardens apartment building is located just 300m from the vast NOMA site, which is the largest development project in North-West England, costing a cool £800 million. For investors with a medium to long-term outlook, it’s the ideal location to purchase an apartment that will enjoy strong and sustained demand from tenants. This focus on the medium to long-term is Surrenden Invest’s second Brexit-beating investment tip. The company cites its No. 76 Holloway Head development in Birmingham as the ultimate example of this. Finally, Surrenden Invest is encouraging investors who want to beat Brexit to look at areas where both rents and property prices are rising fastest – essentially, a select group of the UK’s regional cities. Birmingham, Manchester, Liverpool and Newcastle all have the right credentials, according to the Surrenden Invest team, meaning that investors who focus their attention on the best-placed developments look well positioned to beat the continuing Brexit uncertainty. We tend to think of brownfield land as huge swathes of contaminated, former industrial land that now stands derelict while all around it our crowded cities overflow. While the term does indeed incorporate such areas, brownfield sites come in a wide variety of shapes and sizes, leading specialist property investment agency Surrenden Invest to take a fresh look at the way we deal with previously developed land. The result? Brownfield boutique! Surrenden Invest’s Jonathan Stephens cites The Tannery in Liverpool as an example of brownfield boutique in action. The Tannery sits on the site of a former leatherworks, from which it gets its name. The design of the building reflects its industrial past, with folded aluminium panels resembling the hanged leather that the site’s original building once housed. Horizontal breaks in the façade, meanwhile, represent the leather press. Within The Tannery, the elegant apartments will offer bright, spacious homes complemented by a range of luxurious facilities, including a 24/7 concierge, a communal courtyard and a roof garden. The development is turning a former industrial site into capital-quality residences in an enviable central Liverpool location. The ‘brownfield first’ focus was announced by Liverpool City Region Metro Mayor Steve Rotheram in early 2018 to urge housebuilders to consider using brownfield land across Merseyside, as part of work to make the city an “exemplar for innovation, sustainability and design excellence.” The Tannery is one site doing just that. Given the intensity of the debate about Brexit’s likely impact on UK house prices, the country’s rapidly growing rental sector has been left rather overshadowed. However, from the expansion of the ‘build to rent’ offering to the more discerning buy to let investors that we’re now seeing, the rental sector is alive and well. Indeed, according to Savills, “Tightening access to mortgage finance and changing demographics is driving demand for privately rented homes at all price points.” This makes it an exciting time to be a buy to let investor. In recognition of the continuing demand for premium investment properties, specialist property investment agency Surrenden Invest has produced a regional rental market report that offers expert insights into the UK’s local rental markets. The guide covers five key areas (Birmingham, Liverpool, Manchester, Newcastle and London/commuter belt), analysing everything from demographics and tenures to average rents, yields and void periods. Rental growth has been rather subdued over the past two or so years. However, the average rise across Great Britain of 1.0% in the year to December 2018 was up from 0.9% in the year to November, and Savills projects that things are going to get brighter still over the coming five years. It projects rental growth of 2.0% across the UK in 2020, 3.0% in 2021 and 3.5% in each of the following two years, with a five-year compound growth rate of 13.7% to 2023. Surrenden Invest’s own experience in recent years is that investors are now looking for properties that are a cut above the rest. Manchester’s Ancoats Gardens is a prime example. Located in the hippest part of the UK’s ‘most liveable city’ (according to Time Out and the Economic Intelligence Unit), the development’s 155 spacious, light-filled homes are complemented by a superb range of features. The gym is so large it splits across two levels, while the coffee lounge has been carefully designed to suit a range of uses, from casual catch ups to working from home. Then there’s the rooftop garden – an oasis of greenery and comfy seating that invites you to curl up and enjoy the magnificent views of the Manchester skyline. Ancoats Gardens is part of a new wave of developments that take their on-site features very seriously indeed, as Surrenden Invest’s Jonathan Stephens explains. Why has Birmingham led UK house price growth since the Brexit vote? Birmingham has enjoyed a 16% increase in house prices since the Brexit vote in June 2016, according to the latest UK Cities House Price Index from Hometrack. The December 2018 figures show that home values there have increased more than in any other UK city since the vote. Meanwhile, the government’s House Price Index shows that the West Midlands enjoyed greater price rises than any other English region during 2018, with an increase of 5.2% more than doubling the national average rise of 2.3%. So what is it about Birmingham that has enabled its housing market to flourish so spectacularly? “Birmingham has just the right combination of factors to make it an exciting place to live as well as to invest. It is a city with a strong cultural offering, as well as a booming business environment, which means that professionals and their families can enjoy urban life in Birmingham to the max. At the same time, it’s 65,000-strong student population is building a wealth of future talent. Birmingham is known as being the youngest major city in Europe. With 40% of the population aged 25 and under, it is packed with bright, ambitious youngsters who are driving the city’s economic success. The city also has a superb infrastructure in place, with a cultural offering that drives its tourism sector and delights local residents. Museums, theatres and art galleries abound, while those who prefer to shop and dine in their spare time have a wealth of high end locations to choose from. The upscale Mailbox is home to a range of designer stores and luxurious eateries, while the Bullring and recently completed Grand Central shopping centres between them provide an extensive retail offering. The development of 34 luxurious apartments at No. 76 Holloway Head, in the heart of the inner city B1 postcode zone, is a leading example of why Birmingham property is so appealing. Brought to the market by specialist property investment agency Surrenden Invest, the homes are just two minutes from the very best that central Birmingham has to offer, including Selfridges, the Bullring and Grand Central. The Mailbox is even closer, delivering all the lifestyle benefits of having the city’s most upscale shopping and dining destination almost on the doorstep. As city centre connectivity goes, it doesn’t get much better than this! The Holloway Head and Mailbox location represents the epitome of inner city living. It’s the ideal spot for young, urban professionals who are looking for one location where they can eat, work and play. Not only can residents enjoy access to all that the city centre provides, by being just a moment’s walk from the very best that central Birmingham has to offer, but investors will have a chance to benefit from one of the city’s most exciting regeneration zones. No. 76 is located opposite Concord House, which is home to Birmingham’s most expensive apartment (a penthouse that sold for a cool £1.8 million). It’s position on Holloway Head – dubbed the new “Millionaires’ Row” by local media – links it to the new SBQ buildings, which will connect it to the Bullring. The huge Arena Central and Paradise Birmingham developments are also just a stone’s throw from No. 76, which launches this weekend. Regeneration work already completed in the local area shows the vast commitment to this part of the city. The immediate vicinity includes the already-completed £350 million Brindleyplace development, while future work on Arena Central and Paradise Birmingham will add 3 million square feet of vibrant, mixed use development space, with some £1.1 billion being invested into the area. It is projects such as this that give Birmingham such solid future potential. At the same time, the city’s population is booming, with inner city living at the core of the expansion. Between 2002 and 2015, Birmingham’s city centre population increased by 163% according to Office for National Statistics data, making it the second fastest growing city centre in the country (Liverpool just pipped it to the post, with growth of 181%). As a leading property investment company, Surrenden Invest has for years been espousing the virtues of the Birmingham property market. Now, with London house prices falling for the last two years in a row, increasing numbers of investors are looking to Birmingham to be the home of their UK property investment. According to the latest Nationwide figures, London house prices dropped by 0.8% in the year to December 2018, following a 0.5% fall in 2017. By contrast, the Nationwide figures show a 2.9% increase in house prices for the West Midlands for the year to Q4 2018. However, it isn’t just because London prices are falling that the Surrenden Invest team are such strong advocates for Birmingham. Indeed, the team was extolling the virtues of all things Brum long before London house prices began to wobble. One of the leading developments that is rising to meet the surge in demand is the centrally located Westminster Works. Home to 220 beautiful, loft-style apartments, Westminster Works is offering investment from £168,000. The building’s specification and facilities are superb, as befits such a prestigious development in this exciting city. The yields on offer in Birmingham are another reason that attention is moving away from London. Westminster Works offers solid yields of 5.0% NET – something which many developments in London are either struggling or failing to do. Then there is the overall impact that regeneration work is having on the city. Grand Central’s opening in 2015 marked a step change in the way that many people thought about Birmingham. Now, the £500 million Birmingham Smithfield masterplan, located just behind Westminster Works, is taking regeneration to the next level. Head of city centre development and planning, Richard Cowell, has hailed it as, “an example to international cities,” with residents set to benefit not just from a new market area but from a museum, hotel, culture centres, leisure facilities and a 24-hour gourmet foodie hangout. 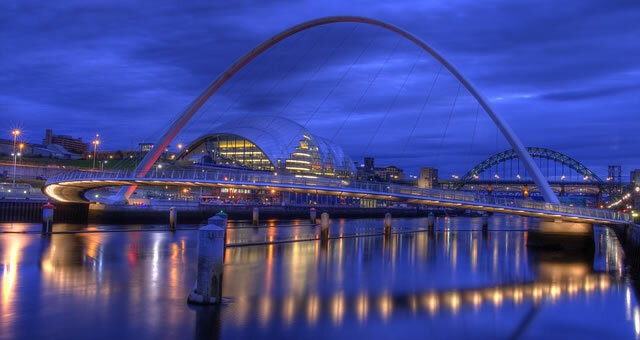 Sitting opposite each other on the banks of the River Tyne, Newcastle and Gateshead share many attributes. Residents benefit from access to both of the bustling urban areas, thanks to the seven bridges that join them across the river. Now, the NewcastleGateshead area is enjoying another joint boost – an inspirational vision for the next phase of the regeneration of its quayside area. The quayside is already popular on both sides of the river, having undergone development work in recent years that has created an exciting, vibrant district with plentiful leisure facilities and food outlets, including a container village serving superb street food. The latest plans will build on that success, adding Europe’s tallest observation wheel on the Newcastle side of the river (to be known as the Whey Aye), and a 10-acre leisure complex on the Gateshead side that includes a £250-million, 12,500-seat arena, a conference centre and two hotels. A number of bars and eateries are also planned. Specialist property investment agency Surrenden Invest, which has been selling investment properties in both Newcastle and Gateshead for some time, has welcomed the regeneration plans as yet another reason to support residential property investment in this thriving area of the UK. The stir created by the regeneration plans is driving interest in the region, with developments such as Gateshead’s Hopper House benefitting as a result. The 81 stylish studio apartments are perfect for those looking to make the most of life in Gateshead. Located just over 10 minutes’ walk from Gateshead Quayside, the apartments come with an on-site sauna, steam room and gym with adjoining sun terrace, as well as a spacious reception area complete with concierge desk and pool tables. 2018 has been a busy year for the UK buy to let market. 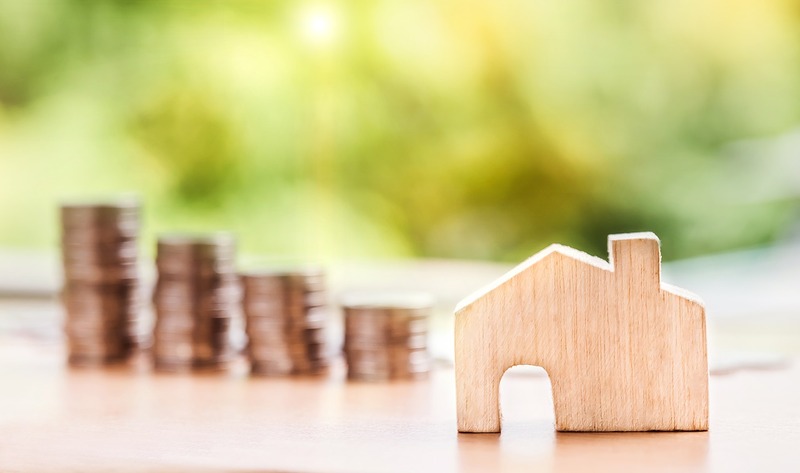 Despite continued government tinkering with things like stamp duty and mortgage tax relief, the potential for both capital growth and healthy yields has been sufficient to encourage many investors to grow their portfolios over the course of the year, according to specialist property investment agency Surrenden Invest. Based on its experience over the past year, Surrenden Invest has pulled together three property market lessons from 2018. The first is that buy to let investors are maturing and becoming more discerning about where they put their money. For a property investment company like Surrenden Invest, which specialises in choosing developments that are a cut above the rest to present to its clients, it means that 2018 has been a good year. Ancoats Gardens in Manchester is a prime example of this. Not only does the development enjoy a top notch location, just 300m from the massive NOMA site, but the quality of the apartments is just superb. Spacious, light-filled homes are complemented by an exceptional rooftop garden, coffee lounge and on-site gym, with an air of urban elegance and luxury flowing throughout. The importance of regional cities such as Manchester is the company’s second 2018 take-away. Investors have largely fallen out of love with London (though odd pockets of potential do remain there, thanks to the sheer size and diversity of the capital’s property market). Instead, buyers are enjoying the superior yields offered by regional cities across the UK. The Totally Money Buy-to-Let Rental Yield Map 2018/2019 shows that Manchester, Liverpool and Newcastle between them were home to 10 of the 25 highest yielding postcode areas in the country over the course of the past year. Yields hit 9.79% in Liverpool, 8.89% in Newcastle and 7.07% in Manchester. Birmingham is one of the markets that Surrenden Invest expects to see more of in 2019. Home to the superb Westminster Works development, which provides 220 outstanding, loft-style apartments, the city is a hotbed of entrepreneurial talent and creativity. Its fast-paced property market and thriving business community both support its position as one of the most exciting investment locations in the UK for 2019. Surrenden Invest’s final lesson from 2018 is that it’s important to keep a steady hand as Brexit approaches. From Mumbai to Manchester – could Indian investment be a top 2019 property trend? Jet Airways’ new Manchester to Mumbai direct flight route has prompted speculation that the city might be ripe for a wave of Indian investment. Manchester has already benefitted immensely from Chinese investment, and now 2019 could be India’s turn to fall in love with this enticing British city, according to specialist property investment agency Surrenden Invest. Manchester is well positioned to attract the kind of global attention that could trigger a new wave of foreign investment. TimeOut has just flagged up its Ancoats district as the 13th coolest neighbourhood in the world. Colourful street murals, cotton mills transformed into affordable co-working spaces, artisanal bakeries and gun joints all contribute to Ancoats’ distinctive vibe. Of course, Ancoats – and Manchester as a whole – are already firmly on many foreign investors’ radars. Two years after the opening of the Hainan Airlines direct route between Manchester and Beijing, figures show a 38% increase in Chinese visitors to the region – higher than the London average and that of the UK as a whole, both of which stood at 30%. Hand in hand with the increase in flow of people has been an increase in the flow of spending, with those visiting the North West spending 5% more than the national average. Investors have also been spending big in Manchester since the direct flight route opened in 2016, particularly when it comes to the city’s property market. Of course, Chinese investment in Manchester pre-dates the direct flight connection. Indeed, the Manchester China Forum celebrated its fifth anniversary in April 2018. The forum has seen more almost £4 billion of investment in Manchester’s infrastructure by China in that time, with Airport City, Middlewood Locks, Angel Meadows and the Northern Gateway all benefitting. As well as giant, corporate investors, individuals with an interest in property have been keen to get involved in the Manchester scene. Areas such as Middlewood Locks are perfect for them, with properties such as Middlewood Plaza offering a decent entry point into the market. Priced from £153,000, the stylish apartments, townhouses and duplexes provide the ideal contemporary property investment. Another popular option is Ancoats Gardens, which sits at the heart of Manchester’s hippest district. 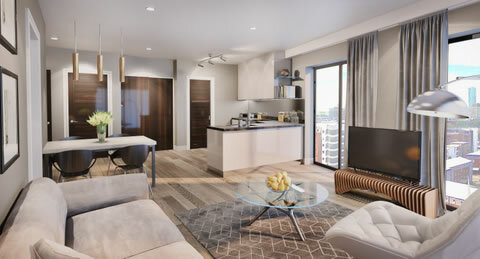 The stylish apartments with their high ceilings and premium facilities are priced from £229,714. 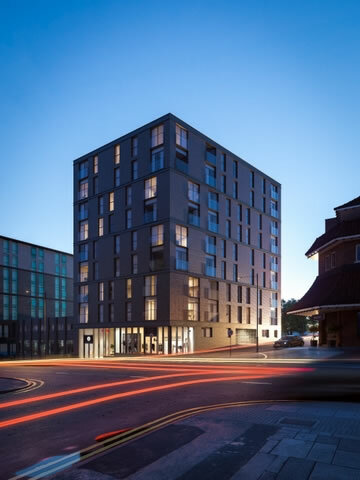 From an award-winning local developer, the building boasts exemplary environmental credentials. Facilities for residents, meanwhile, include an extensive roof terrace, on-site gym and spacious coffee lounge. With Jet Airways’ opening of a new direct route between Manchester and Mumbai, there’s plenty of scope for rupees to start rolling into the city in 2019. Earlier this year, more than £1 billion of new Indian investment into the UK was announced, creating or safeguarding 5,750 British jobs as a result of technology, trade and investment partnerships between the two nations. Figures from the Department for International Trade show £18 billion worth of trade between the UK and India in 2017, representing a 15% increase over the 2016 figure. Now that the Jet Airways route has made Manchester more accessible to Indian investors, and thus removed a barrier to their involvement in the local area, it remains to be seen how quickly the city can impress Indian visitors with its potential. Those working in the UK buy to let property sector will certainly be keeping a close eye on the situation. Each year, towns and cities around the world hang up their twinkly lights and roll out the market stalls, ready for the magic of Christmas to come alive once more. From traditional toys to quirky gifts, Christmas markets provide a wonderfully atmospheric way to do your Christmas shopping, with plenty of tasty treats thrown in to keep you going. According to the Nabma ROI team, Christmas markets generate more than £250 million in visitor spending. Deloitte, meanwhile, are projecting a rise of 1% in our Christmas spending this year, with an average spend of £567 per person over the festive season. The figure is 42% higher than the European average. The majority of the expenditure (£299) will be on gifts, though food and drink and socialising will account for a fair amount, at £151 and £66 respectively. Those shopping for properties at this time of year can enjoy the delights of local Christmas markets as they analyse the area(s) they’re interested in. Here, we’ve rounded up some of the best festive markets and the best local properties, to give them a head start. Birmingham is known for hosting the largest German Christmas market outside of Germany or Austria. From craft beers and artisan edibles to toys and crafts, this is a great place to do your Christmas shopping while indulging in some incredible gingerbread. In terms of property market opportunities, Birmingham is home to the exceptional Westminster Works. Nestled in the city’s hip and happening Digbeth area, the 220 elegant apartments are available from £168,000 through Surrenden Invest. Manchester’s Christmas market attracts millions of visitors each year, with a wide variety of gifts, toys and gourmet treats, alongside an ice rink to burn off all those extra Christmas calories. For property investors, Ancoats Gardens is the obvious choice. The latest of Surrenden Invest’s investment opportunities, the world-class apartments are one of the city’s most exciting developments. Prices start from £229,714. Of course, it’s not just the UK that has jumped on the Christmas market trend. Shoppers looking to head across the Channel will find one of France’s most beautiful Christmas markets just an hour’s drive from Calais. The market is set in the midst of the splendid, Flemish-style architecture of Arras, some of which is UNESCO World Heritage listed. The Village de Noël includes more than 130 chalets, surrounded by richly decorated Christmas trees and fairy lights. Toys, gifts and gourmet treats abound, along with an action-packed funfair with everything from an ice rink and toboggan slide to a merry-go-round and big wheel. Properties in the local area are as diverse as the gifts for sale at the market. One of the most interesting currently on the market is a three-storey water mill with beautiful grounds, which spans the River Ternoise. Ripe for conversion, the property is on the market for €309,000. A short plane ride away, Spain also hosts some superb Christmas markets each year. In the Costa del Sol, visitors can enjoy sunshine and beachscapes during the day, then head for the gently twinkling lights of the Nordic-style stalls in Estepona of an evening. Traditional teddy bears, clothing, craft items, festive Spanish treats and much more await eager shoppers, while an ice rink and children’s playground ensure little ones (and not so little ones) will be entertained too. On the property front, Taylor Wimpey España’s picturesque Green Golf development is home to 48 spacious houses with large terraces and spectacular golf course views. Prices for these three-bedroom, three-bathroom home start from €280,000 plus VAT, with residents enjoying lush communal gardens and pools as part of their purchase. FrenchEntrée: visit www.frenchentree.com/property-for-sale/ or call +44 (0)1225 463752. Taylor Wimpey España: visit www.taylorwimpeyspain.com or call 08000 121 020 (or 00 34 971 706 972 from outside the UK).